This chart shows the fascinating pattern of inter-generational wealth and poverty in America. 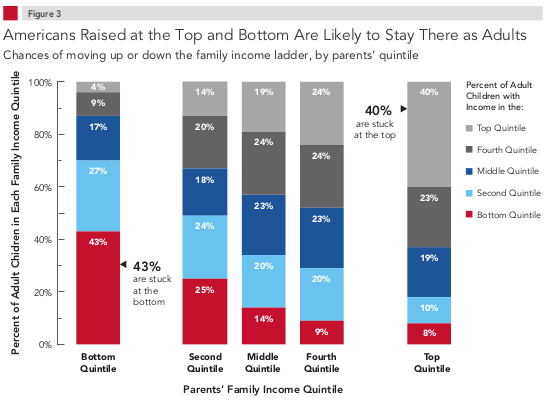 Of those raised in the top income quintile, 40% stay there while 43% of those raised in the bottom stay there. 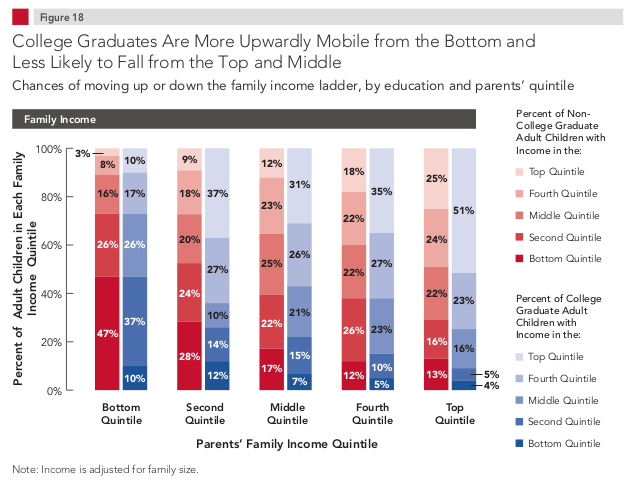 Also, a person raised in the top income quintile who does not go to college has a 2.5x higher change of staying in the top then someone from the bottom 20% who does go to college. Click through for a fascinating look at wealth and the effects of college. This entry was posted on June 19, 2013 at 1:00 am and is filed under Education, Employment, Inequality. You can follow any responses to this entry through the RSS 2.0 feed. You can leave a response, or trackback from your own site.